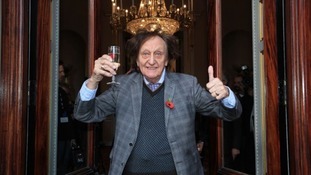 Thousands of people are expected to line the streets of Liverpool later to say a final farewell to one of the city's most famous sons - the comedian Sir Ken Dodd. Members of the public are invited to attend the service on a first come, first served basis, and it will be screened outside for anyone who misses out. The cortege is expected leave from Sir Ken's home in Knotty Ash at 11am. It's the place he lived in his whole life, and the site of his wedding to his long-term partner just two days before he passed away. Since the comedy legend died earlier this month hundreds of people have left "moving tributes" outside, from flowers, letters, tickling sticks, and even a jam butty. Fans are expected to line the streets of Liverpool to pay their final respects to Sir Ken. A horse-drawn hearse, a nod to his father's job as a coal merchant, will lead the funeral cortege, and residents and visitors have been encouraged to line the route. His funeral service will be open to the public, with a large screen broadcasting the ceremony for mourners outside the cathedral. 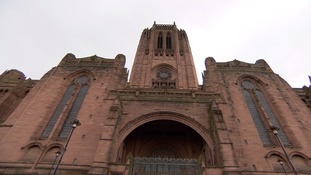 The service will be led by the Reverend Julia Jesson, the vicar of Sir Ken's local church in Knotty Ash. I think that today there will be a sense of celebration for a wonderful life lived with so much love, but also the sadness of the passing of an era. He's been a showman for the best part of 70 years, so there's that sense of an era passing away. I should imagine in the Cathedral later on this morning it will be full of laughter, but also some sadness and reflection as well. Flags at Liverpool Town Hall, St George's Hall, Cunard Building and Central Library will be lowered for the day as a mark of respect. The funeral service will be followed by a private interment. 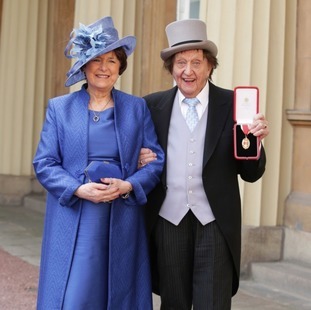 The legendary Liverpool based comedian Sir Ken Dodd has died at the age of 90. He'd recently been released from hospital.